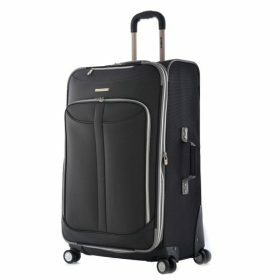 There are 5 best huge luggages 28-30 inch for your picking up. There’re roomy, well made, have lots of pockets and places for small items, shoes, hanging clothes and more. They are easy to move through the airport, hold lots of stuff and are extremely sturdy. Come on and see them, you’ll absolutely find one fitting your taste and need. This luggage is built to take on the hardest travel elements. It’s constructed 100% polycarbonate and extreme scratch-resistant textures. 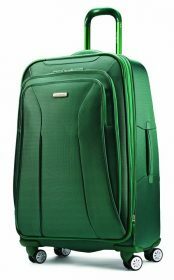 Its’ four 360 degrees spinner wheels roll smoothly enough for you basically push the luggage with one hand and it even navigated wee on relatively rough surfaces. Full-zip interior divider and cross straps for increased packing organization. More colors are available. Made in China. 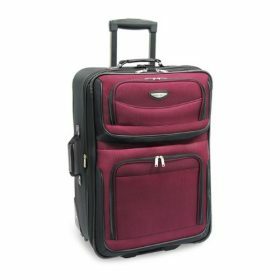 This 28 inch 4 wheeled luggage is constructed of 100% ABS composite which is extremely lightweight and durable. Its spinner wheel system provides exceptional mobility when pushing or pulling. Retractable carry handles are sturdy and easy to grab. Two big book style compartments allow you arrange more stuffs. With multiple locking stages, lock at the height that best fits your need. Wash by hand with dump cloth. Travel in style with this rolling luggage. It features superior two-tone polyester construction. It contains an interior deluxe retractable push-button handle system. With 25% more packing capacity, it has multiple front pockets, dual top and side carry handles. Full imprinted lining and elastic tie straps make it more attractive. It also provides an ID window on back panel. 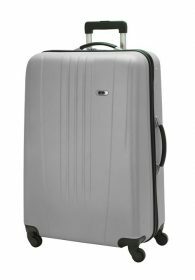 This 30 Inch Expandable suitcase features Double spinner wheels for a 360° spin which allows free movement in all directions to make your adventures a breeze. 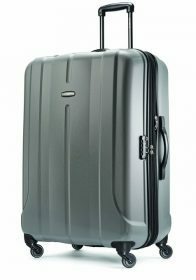 This luggage case is made of polyester and constructed of 2-Tone polyester. It provides a U-tube push button retractable handle and front zipper pocket and internal zipper mesh pocket for extra packing capacity expanding feature adds 25% more packing capacity on demand. It has 31.5″ high and 19″ wide. This Samsonite luggage contains 60% nylon and 40% polyester. It has four multi-directional dual spinner wheels which ensure easy mobility. Its rolls are upright so there is no weight on your arm or shoulder when you use it. New anodized aluminum pull handles are stronger to resist wear and corrosion. It also includes a laundry bag and removable hanging toiletry kit. Made in China.